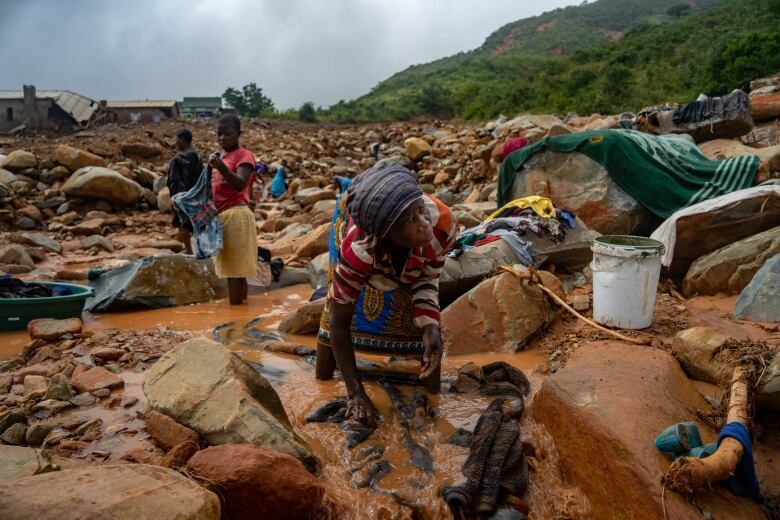 Zimbabwe is retrieving and burying bodies Wednesday as Mozambique begins three days of national mourning for victims of Cyclone Idai, one of the most destructive storms southern Africa has experienced in decades. The death toll is rising in both countries, but the full number of those killed and the extent of damage done will only be known when torrential floodwaters recede. Persistent rains are forecast through Thursday so it will be days before the plains of Mozambique drain toward the Indian Ocean. Zimbabwean President Emmerson Mnangagwa received a sombre welcome when he arrived at the hard-hit mountain community of Chimanimani on the eastern border with Mozambique. Some 300 people may have died in Zimbabwe as a result of the cyclone, say officials. Some Zimbabwean bodies have been swept by rivers down the mountainside to Mozambique, according to officials. Mozambican officials say its death toll is 200 and rising. President Filipe Nyusi said earlier this week he expects fatalities to be more than 1,000. “Some of the peasants in Mozambique were calling some of our people to say ‘We see bodies, we believe those bodies are coming from Zimbabwe,”‘ said July Moyo, Zimbabwe’s minister of local government. 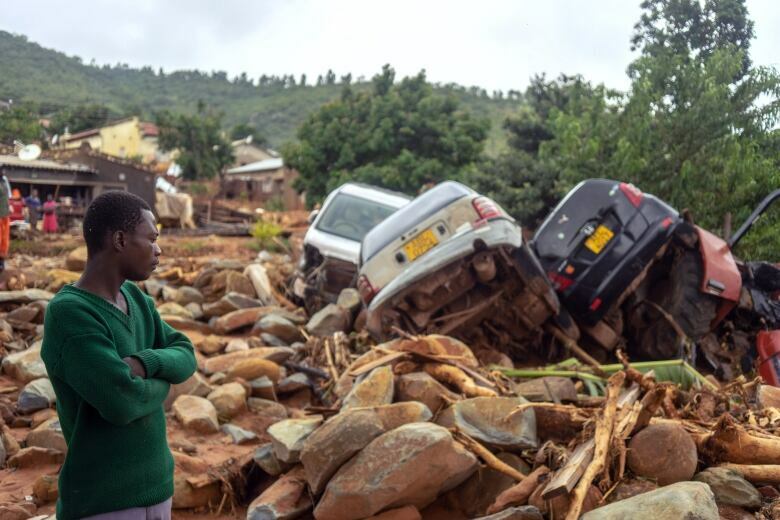 Families congregated in Chipinge town, near Chimanimani, hoping to find ways to get to impassable areas where they expected to find bodies of relatives. Churches, companies and individuals have donated clothes, food and other supplies to families that lost their homes. Sacha Myers of the non-profit Save the Children, speaking from Maputo, Mozambique, described rising floodwaters, “rivers and dams bursting their banks” and a death toll in the hundreds that was destined to climb. She was awaiting the arrival of a cargo plane carrying emergency supplies, but said getting them where they needed to go remained difficult with roads washed away or submerged and few options for storage in dry areas. As better data emerges from the disaster zone, donors will be standing by to make money and other resources such as medicine available, said Dr. E. Anne Peterson of the non-profit health organization Americares. “It’s early and a really big disaster gets attention fast, and the more media covers it, the more people realize there is a need and the more likely we are to see them getting engaged,” she said.